This is a full day developmental program is designed for Legal Partners and Outside Counsel Executives, that are wanting to better their skills for effectively working with General Counsel Executives. This program will give you the opportunity to learn from some of the brightest GCs in the industry on how outside counsel can better work with, retain and attract in-house clients. The Berkeley Center for Law and Business is Berkeley Law’s hub for rigorous, relevant, and empirically based research, education, and programming on the interrelationships of the law, business, and the economy. Our areas of focus include venture capital and entrepreneurship, corporate social responsibility, capital markets, and mergers and acquisitions. Our executive education programs, which now include venture capital, blockchain, and finance academies, have honed the skills of practicing attorneys, executives, and investors from over 20 different countries. 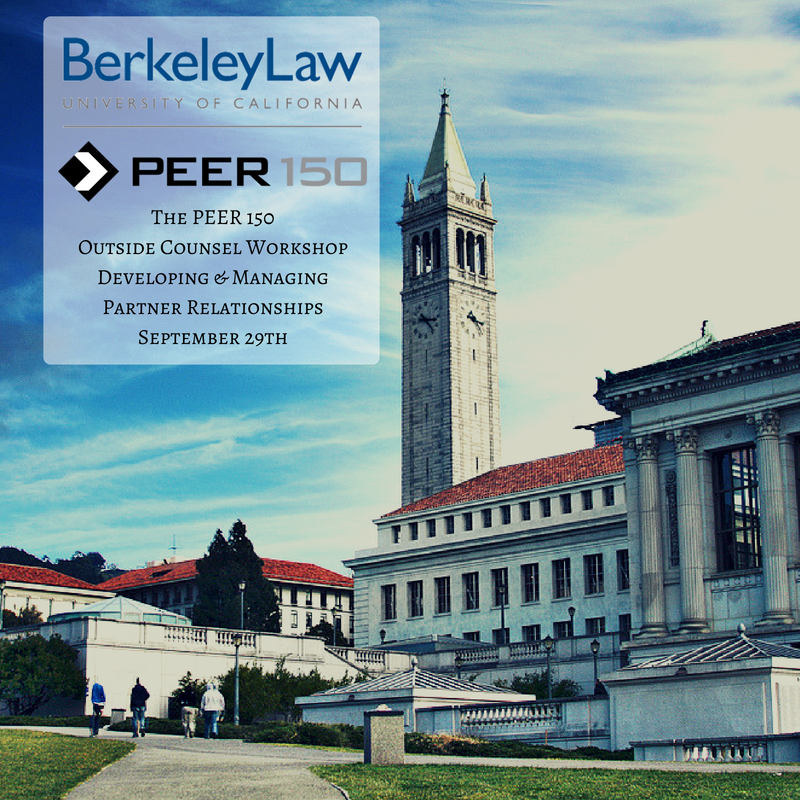 Berkeley Law is the world’s leading institution for the study of corporate law, finance, capital markets, and innovation. To achieve this objective Berkeley leverages its leading faculty in these areas as well as its unique geographical location with respect to Silicon Valley. In pursuit of these objectives Berkeley adheres to its social mission as the top public law school in the country. Our tuition structure encourages organizations to send multiple attendees. We have found that the more attendees within an organization that hear new ideas, strategies and concepts taught at the Outside Counsel Workshop, the more likely they are implemented when executives return to the work environment. This is a core principal of the Outside Counsel Workshop, practical ideas that can be implemented.